One of my favorite signs I have seen recently. 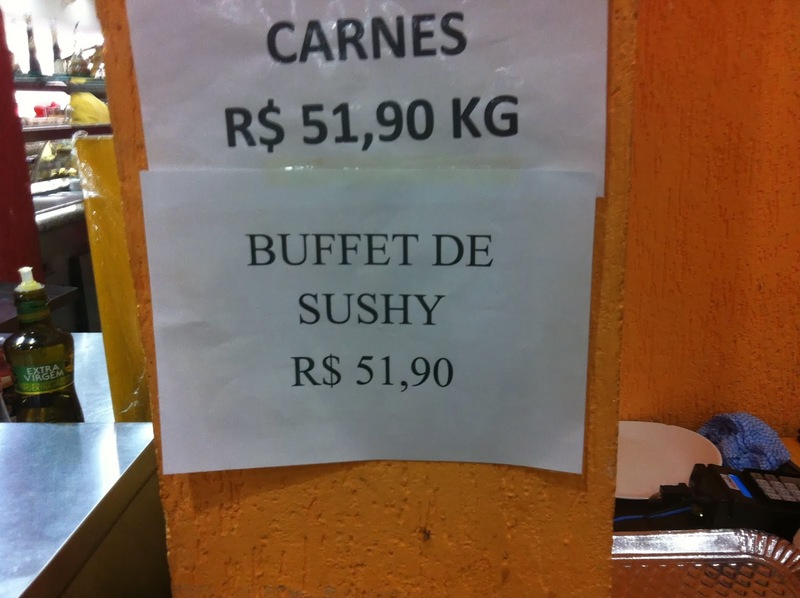 You can have a "sushy" buffet for R$51,90 or a kilo of meat for the same price. Hmmmm. Only available at the local bakery.